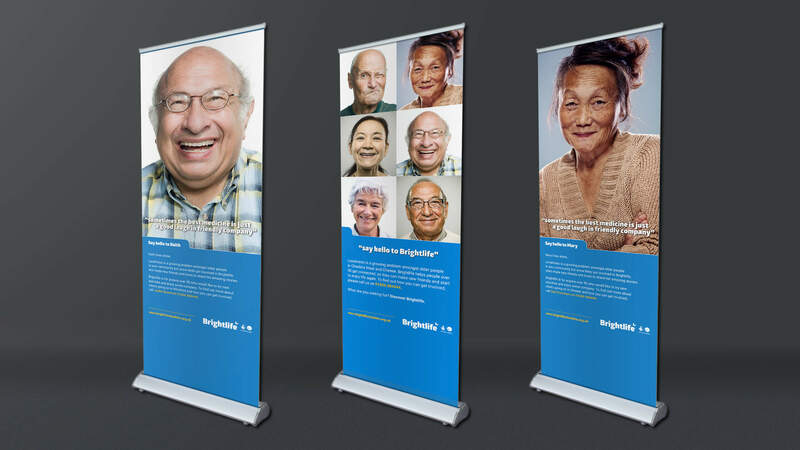 Our creative team developed an uplifting charity marketing strategy to help Brightlife reduce loneliness among adults over 50. 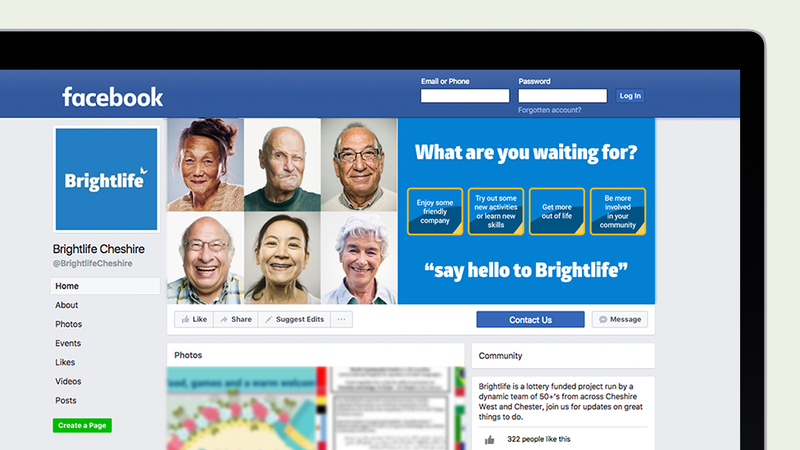 Brightlife is a local charity that focuses on ageing communities in Cheshire. Their aim is to reduce the social isolation and loneliness that many people over the age of 50 experience by fostering networks, supporting innovative activities and launching engaging community-focused projects. Our charity marketing strategy needed to build awareness while providing practical tools that could be used to refer patients to resources which make a real difference in their health and wellbeing. 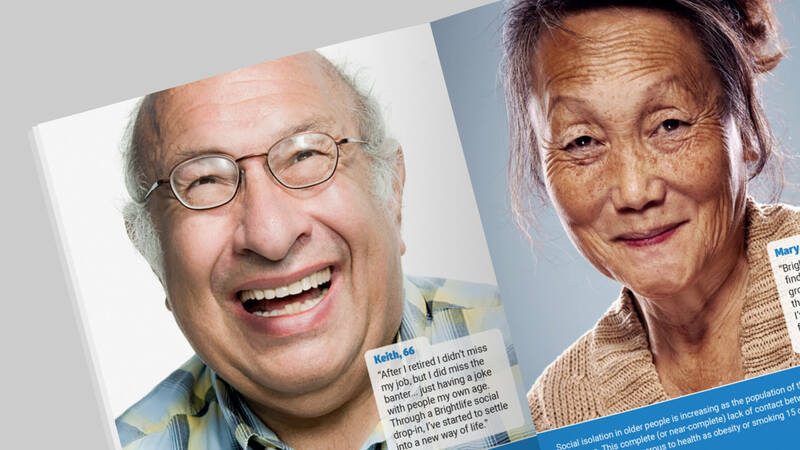 To combat this, Brightlife asked the Parker Design team to create a not-for-profit marketing strategy that would improve the wellbeing of older adults across Cheshire. 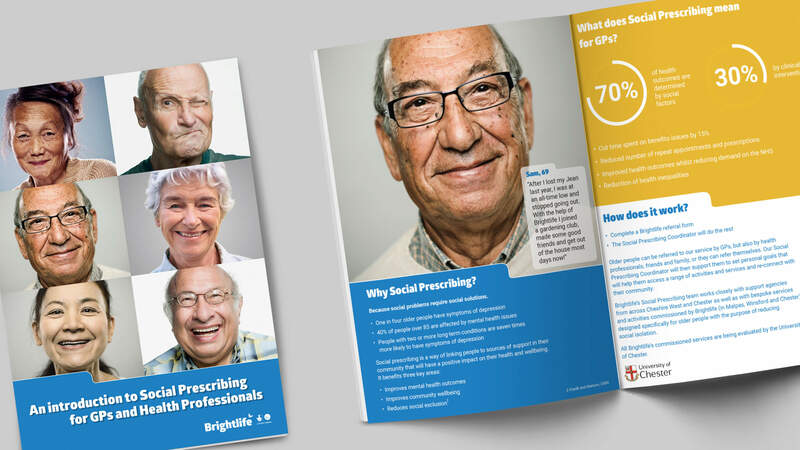 Expanding on the social awareness campaign that we developed for the client earlier in the year, we designed a diverse range of marketing materials to allow local charity coordinators to support social prescribing. This strategy links primary care patients with non-medical resources in the community, such as activity clubs, conversation groups and programmes that encourage older adults to interact and develop new skills. As well as branded merchandise like travel mugs and shopping bags that encourage general awareness, we helped support the charity’s social prescribing efforts with appointment cards, information leaflets and tear-off slips. 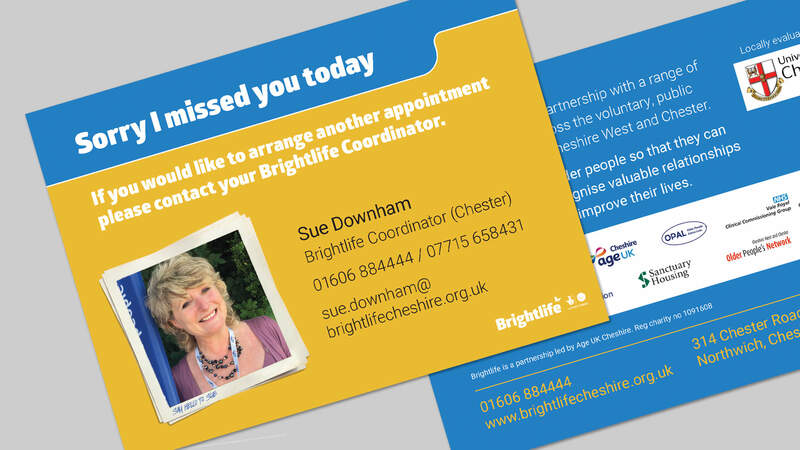 We also designed cost-effective tools to help the charity coordinators maintain regular contact with “Sorry We Missed You” cards for home visits. 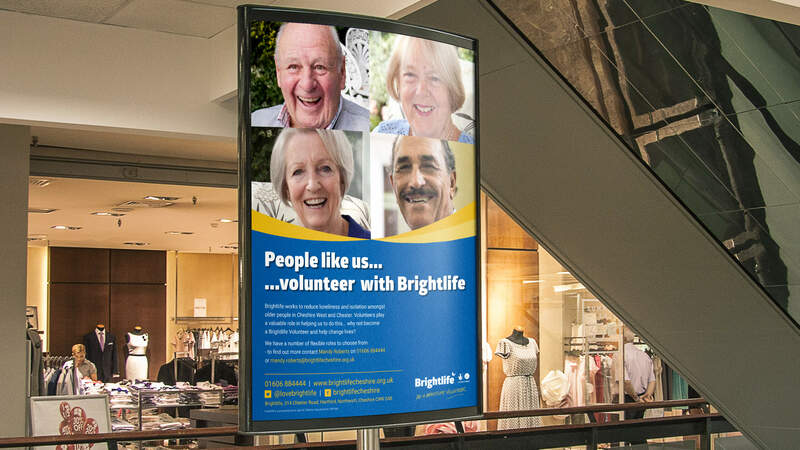 As reducing social isolation among adults over 50 requires the support of the entire community, our charity marketing strategy needed to raise the profile of this issue locally and support Brightlife in recruiting new volunteers. We were able to deliver a flexible and cost-effective solution by creating generic outreach materials to areas not already targeted by the initial campaign, including informative pull-up banners, social media assets and a fresh look and feel for the client’s website. The marketing strategy was launched during the Brightlife Festival – a week-long community event featuring free activities for adults over 50 across the region – and has successfully been shared with other lottery funded charities to maximise the health and wellbeing of older adults.